But, we have one more request! Everyone who was in yesterday’s Sunday morning service heard Pastor Todd’s update on our Greater Things construction. 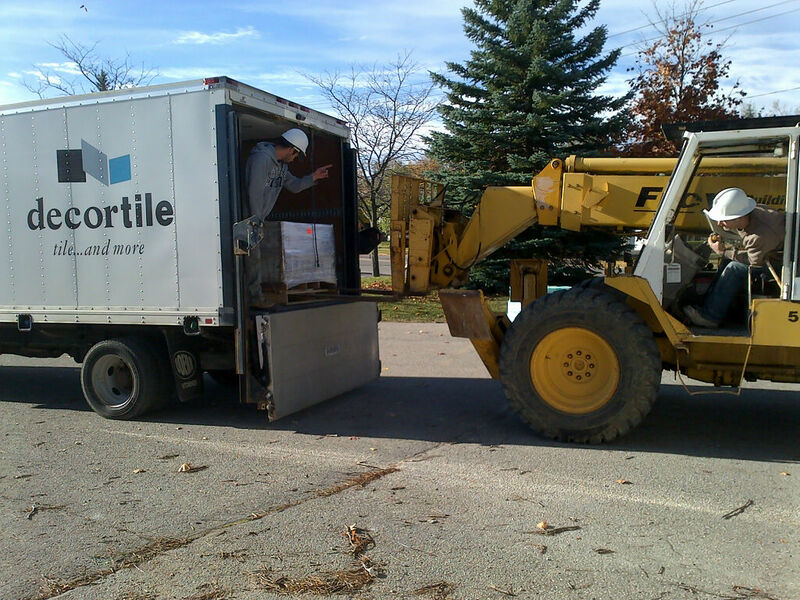 He explained that we are on target to be back at 82 Westheights for Sunday, November 16 except for one caveat … the delivery of our main floor tiles. The delay of the tiles would result in a delay in our return. So Pastor Todd asked for our fervent prayer for the delivery of the tiles. Well, great news! They arrived this morning (Monday) at 10:15 am! Your prayers worked! However, now we need to get our flooring guys back on-site, as they were diverted to another project while awaiting our tiles. So, Westheights Church, please pray that we get our flooring guys back!